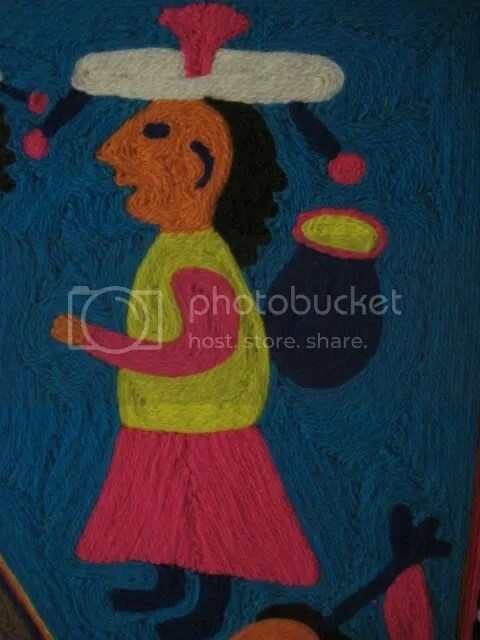 Posted on February 11, 2019, in Mexico, Museo Zacatecano, Ruby Tuesday Too, Zacatecas and tagged Mexico, Ruby Tuesday Too, Zacatecas. Bookmark the permalink. 2 Comments. What a beautiful work of art. This reminds me of a pillow I once saw that depicted a story. The figures were all made of felt. I have never forgotten that pillow. Beautiful work. Reminds me of a similar piece my mother has and which she got in India.